Chen, Meilin and Flowerdew, J. (2018). “A Critical Review of Research and Practice in Data-Driven Learning (DDL) in the Academic Writing Classroom”, International Journal of Corpus Linguistics, 23(3), 335-369. Chen, Meilin and Flowerdew, J. (2018). “Introducing Data-driven Learning to PhD Students for Research Writing Purposes: A Territory-wide Project in Hong Kong.”, English for Specific Purposes, 50, pp. 97-112. Ho, V & Li, Cissy (2018). “The Use of Metadiscourse and Persuasion: An Analysis of First Year University Students’ Timed Argumentative Essays” Journal of English for Academic Purposes, Vol. 33, pp. 53-68. Li, Cissy & Ngai, J (2018). Perspectives from peer tutors. The Asian Journal of Applied Linguistics Challenges and issues in academic writing.Vol. 5, Issue 1, pp. 104-116. Ngai, C.S.B., & Singh, Rita (2018) “Reading Beyond the Lines: Themes and Cultural Values in Corporate Leaders’ Communication” Journal of Communication Management, Vol. 22, Issue 2, pp. 212-232. Hafner, C. A., and Wang, Ho (2018) “Hong Kong Learner Corpus of Legal Academic Writing in English: A Study of Boosters as a Marked Language Form in an English-Medium Instruction Context” TESOL Quarterly, 52(3), 680-691. Yu, Lung Kit (2018). 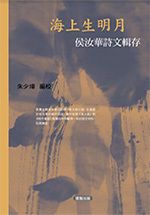 “Automatic Writing in Poems by Hong Kong Young Poets”, Humanities and Social Sciences Review (HSSR), 7(2), pp. 533-538. Li, Cissy (2018). Presented a paper entitled “Stylistic Variation in Tertiary Peer Tutoring: A Metadiscursive Perspective” at the 16th Asia TEFL 1st MAAL & 6th HAAL 2018 International Conference held from 27-29 June 2018 at The University of Macau, Macau. Burge, Dan (2018). Presented a paper entitled “Comprehending Implied Meaning through Culture and Context” at the International Conference on English Language Education in the Chinese Context held from 4-5 May 2018 at The Education University of Hong Kong, Hong Kong. Ng Angela, Cheung Siu Yin, Leung Connie, Lai Peggy (2018). Co-presented a paper entitled “How to Get 3 Yeses: Collaboration between Language Teachers and a Professor in Sports Leadership” at the 2nd International Conference on English Across the Curriculum held from 4-5 December 2018 at The Hong Kong Polytechnic University, Hong Kong. Ng Angela, Wang Ho (2018). Co-presented a paper entitled “Language Teachers’ Feedback on Annotated Technical Reports by Undergraduate Computer Science Majors” at the 2nd International Conference on English Across the Curriculum held from 4-5 December 2018 at The Hong Kong Polytechnic University, Hong Kong. Wang, Ho (2018). Presented a paper entitled “Teaching Value Principles for Persuasive Writing Using Letters to the Editor” at the 16th Asia TEFL 1st MAAL & 6th HAAL 2018 International Conference held from 27-29 June 2018 at The University of Macau, Macau. Wang Ho, Lai Peggy & Wong Louisa (2018). Co-presented a paper entitled “Automatic Generation of Transcripts of Student English Presentations Using YouTube for Teaching Academic Speaking” at the eLearning Forum Asia 2018 – eLearning for the Future held from 23-25 May 2018 at National Taipei University of Business, Taipei. Wang, Ho (2018). Presented a paper entitled “Governments as the Source of Information and Inspiration for Argumentative Writing” at the International Conference on English Language Education in the Chinese Context held from 4-5 May 2018 at The Education University of Hong Kong, Hong Kong. Wang, Ho (2018). Presented a paper entitled “Ownership and Access Rights of Student Assignments and Examination Answers: The Cases of Turnltln and ETS” at Ethics, Advocacy and Empowerment in the Humanities and Social Sciences Research: A Re-assessment – A One-Day Workshop with Professor Deborah Cameron held on 20 March 2018 at The University of Hong Kong, Hong Kong.